Co-creator of D&D dies at 61. Dave Arneson, co-creator of the Dungeons & Dragons fantasy game, died after a two-year on going battle with cancer Thursday. He was 61. Arneson and main creator Gary Gygax developed Dungeons & Dragons in 1974. This game was worldly known for its oddly shaped dice and was eventually turned into video games, books and movies. 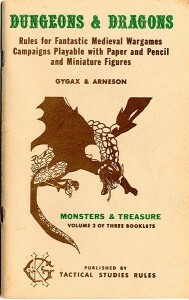 Gygax died in March 2008. “The biggest thing about my dad’s world is he wanted people to have fun in life,” Weinhagen said. “I think we get distracted by the everyday things you have to do in life and we forget to enjoy life and have fun”. Dungeons & Dragons was originally a table top game where players created fictional characters and carried out their adventures with the help of complicated rules. The quintessential geek pastime, it spawned copycat games and later inspired a whole genre of computer games that’s still growing in popularity.